I’ve written in the past why it’s important to air seal your modular home. It’s because air infiltration in the gaps where modules are joined can cause a great deal of heat loss. If you want an energy efficient modular home, you need to air seal these gaps. The modular manufacturer can control air infiltration within each of the modules, but when the modules are placed side by side or stacked on top of each other, significant gaps are created. It is just not possible to bring two modules together tightly when a cable is wrapped around each one while being lifted onto the foundation. In addition, even when the framing of one module is tightly butted up against the framing of another module, it is not possible to make the joint airtight. One of my first customers, Jim, hired a general contractor who didn’t take this seriously. Jim’s home was a raised ranch with a drive under garage. It was a good sized home, 28’ x 60’. 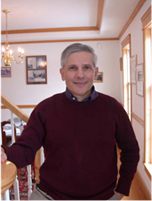 When we visited his home to complete an inspection, we expected to find that his contractors had not insulated the basement walls, as Jim and I had discussed while planning his home. We also thought his contractors might have failed to put the attic insulation back in their bays after completing the button-up work. Plumbers, heating contractors, and electricians often pull out some of the attic insulation so they can do their work. Sometimes they forget to put it back, and the general contractor forgets to make sure they do. But that’s not what we discovered. So we performed a “smoke test” to see where air might be leaking. What we found was that the joint where the front and back modules met in the basement and in the attic had not been air sealed by Jim’s contractors. This gap at the “marriage wall” was creating a “chimney” effect, which was allowing the air to flow – and heat to escape – up through the middle of the house all winter long. Although this was seriously compromising the energy efficiency of Jim’s home, we only needed a couple of hours to seal the marriage wall. As we agreed, Jim called me after his next heating system. He happily reported that his heating bill was substantially lower. Ever since this experience, we’ve made sure to emphasize to our customers and their general contractors that they are responsible for completing the air seal where the modules join. But we still find that some GC’s fail to do this task. I strongly suggest that you ensure that your GC does. 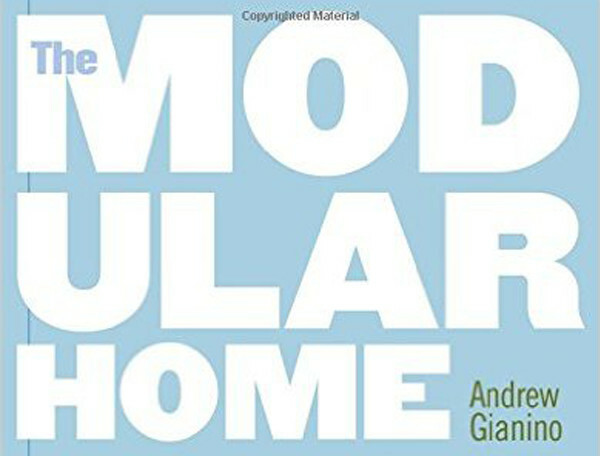 For more information about why you must air seal your modular home, see The General Contractor’s Responsibilities for Building a Modular Home in my book The Modular Home. 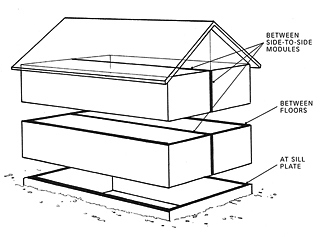 For information about how to properly air seal a modular home check out this blog post and my Checklist for How to Air Seal a Modular Home.